One of my favorite non-fiction subjects is the leadership of Winston Churchill. There’s a lot to be learned from the leaders of World War II and I am fond of Churchill’s candor and wit. One of my favorite Churchill quotes is, “However beautiful the strategy, you should occasionally look at the results.” Such is the case with the Olweus program at Sublette County School District #1. Implemented in 2008, the Olweus program is generally considered to be the world’s foremost bullying prevention program. 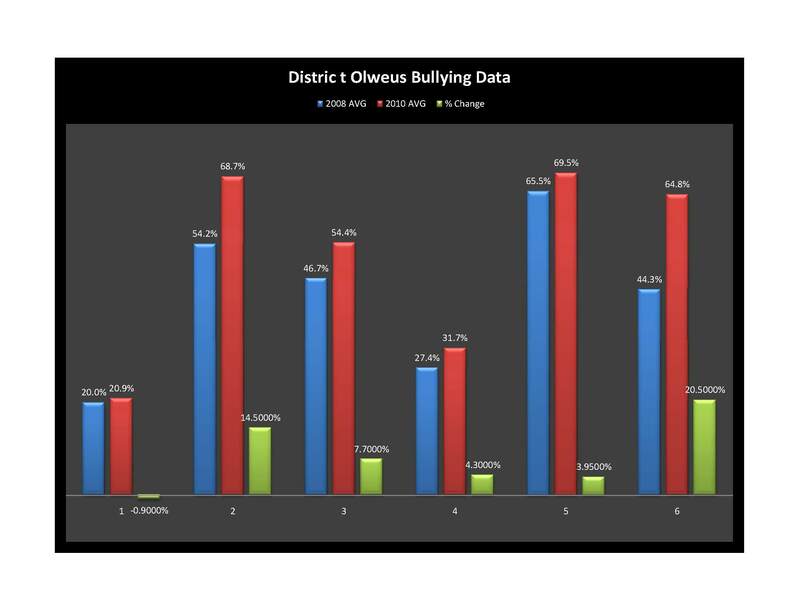 Over the past three years the district has invested considerable time and resources to address bullying at SCSD #1. So as a part of our strategic planning process, and heeding the sage advice of Sir Winston, we do indeed occasionally look at the results. And while it appears that we’ve changed over the past couple of years, the bullies haven’t. Part of the Olweus program includes a questionnaire designed to assess student perceptions on bullying and our prevention activities. From this questionnaire, the District has selected six indicators to serve as benchmarks for evaluating the results of the program. Listed below are the six benchmarks we are currently using to evaluate our results. Percentage of students who have been bullied “2-3 times per month” or more in the past couple of months. Percentage of students who have been bullied “2-3 times per month” or more in the past couple of months who have told someone about the bullying. Percentage of students who report that teachers or other adults at school try to put a stop to it when a student is bullied at school. Percentage of students who report that other students at school try to put a stop to it when a student is bullied at school. Percentage of students who report that they are “never or seldom” afraid of being bullied at school. Percentage of students who report that their teachers have done “a good deal or much” to cut down on bullying in the classroom in the past couple of months. The chart below illustrates the results of the student survey. Although the number of students reporting that they are being bullied has not decreased, there are a number of areas related to bullying that have shown significant improvement. The data tells us that students are less afraid of being bullied at school, are more likely to inform a teacher or adult at school when bullying occurs, and that teachers and students are doing more to prevent bullying. In short, we are doing more to prevent bullying. Our students feel safer at school and are participating in the efforts to reduce bullying. And while I feel positive about those results, it seems students who choose to bully others haven’t quite gotten the message. So it falls upon us to continue our efforts to reduce bullying at SCSD #1. And by the way folks, that “us” includes you. Whether you are an administrator, teacher, parent, student, or community member, bullying prevention requires a collective effort. And don’t think this is just a school issue. I know you’ve seen it at work, at home, at church, and in a wide range of other settings. Bullying will always exist. There’s a subset of our population that believes they have the right to impose their negative intentions on others. That requires a response from us. In fact it requires a fanatical response. Churchill also said, “A fanatic is one who can’t change his mind and won’t change the subject.” And when it comes to bullying, we can’t change our mind that it is an intolerable act, and we won’t change our mind that this is a subject we will continue to address until every child feels safe at school. Click here learn more about what you can do to protect your children from bullying and support safe schools. This entry was posted in Bullying Prevention and tagged Bullying, Olweus. Bookmark the permalink. “Keep calm and carry on” Churchill.